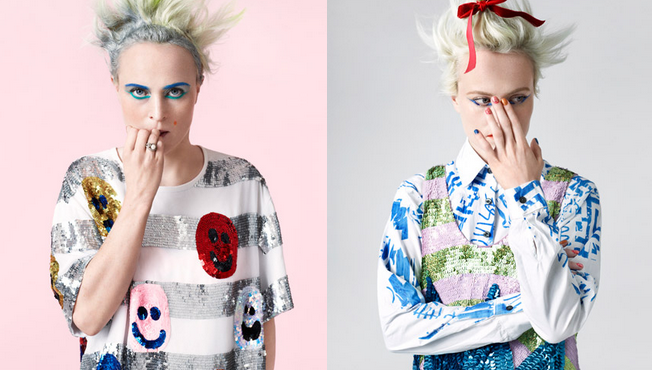 As the Louise Gray makeup collection for Topshop launches online and in stores tomorrow, here is a dedicated post to the wonderfully, colourful and eccentric designer. 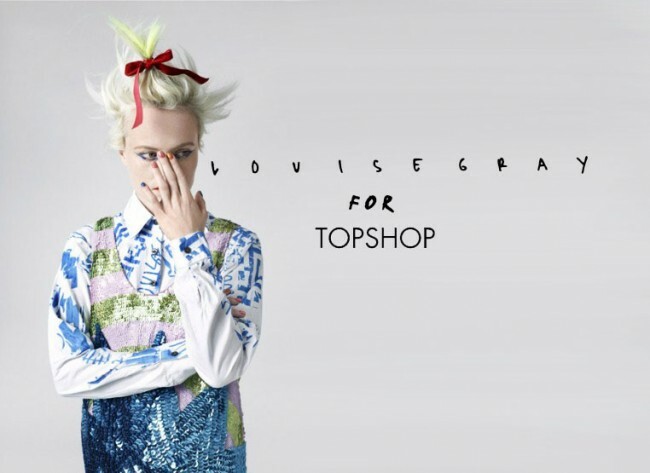 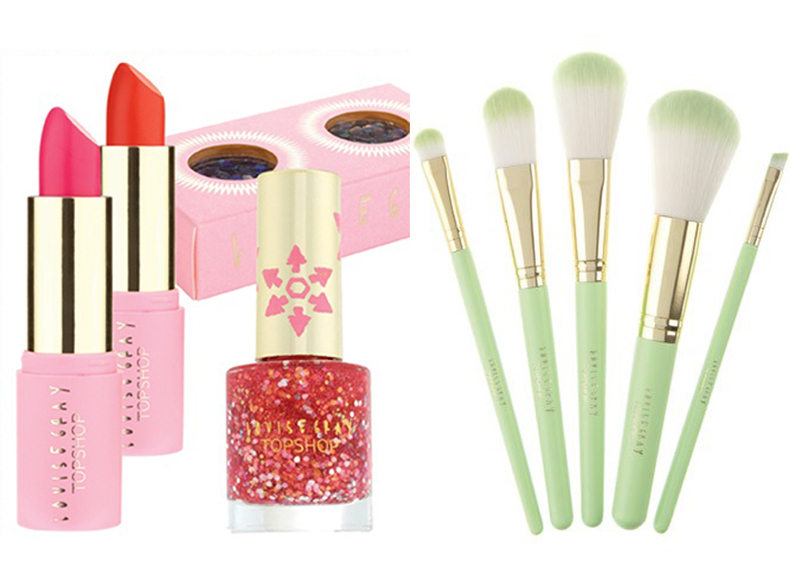 I have been a fan of Louise Gray since her vibrant, bright and bold designs burst onto the London fashion scene a couple of years ago, so have been eagerly awaiting her first ever collaboration with Topshop for both a clothing range, as well as her makeup collection. 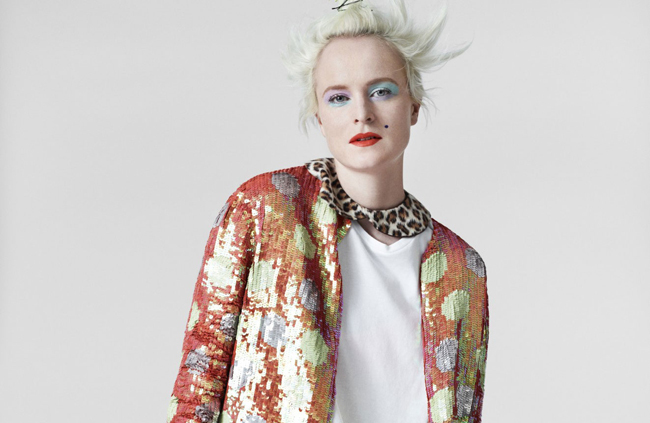 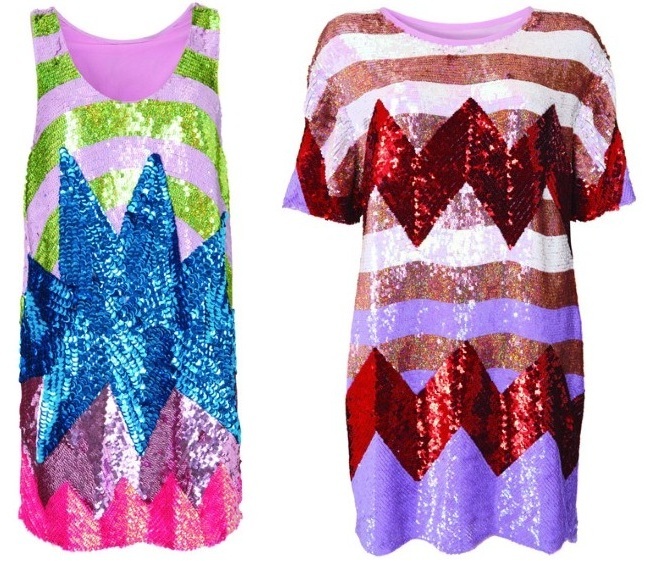 Filled with glitter, sparkle, every colour of the rainbow, sequins, texture and pattern, the collections promise not to disappoint fellow Louise Gray followers and Topshop lovers. 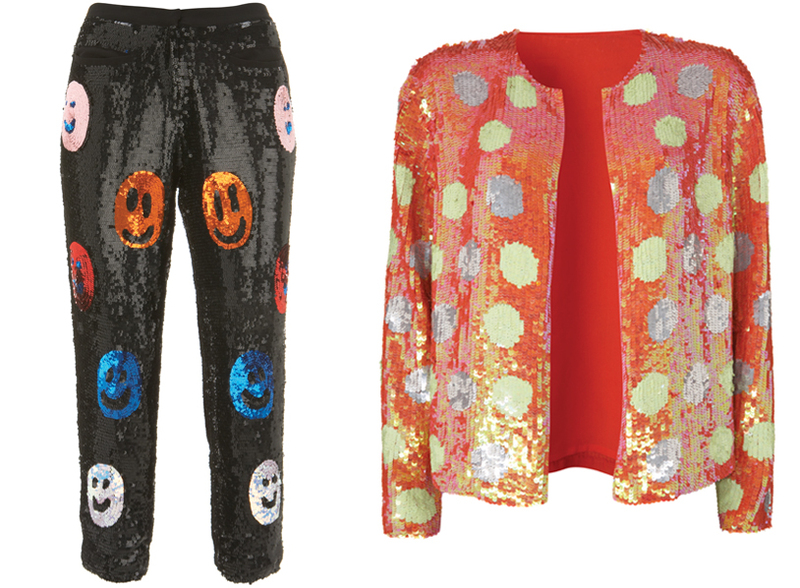 I will be getting my excited little mitts on the 'Junkyard' glitter nail polish, 'Peacock' glitter duo and lips in 'Legend'...all ready for my up and coming Ibiza trip..! LOVING the blue beauty spot! What will be on your Louise Gray wish list?